This delicious stew is perfect for vegetarians or meat eaters. And it’s full of healthy fats! Comforting and warm, it’s one the whole family can enjoy for dinner. Add in some chicken or tofu for extra protein. If you’re enjoying a bit of grains, this pairs nicely with wild rice. Add the cumin seeds and stir until they start to sputter. Then add the onions and cook for another minute, and then, add the tomatoes, stir and cook for a few more minutes until the tomatoes soften. 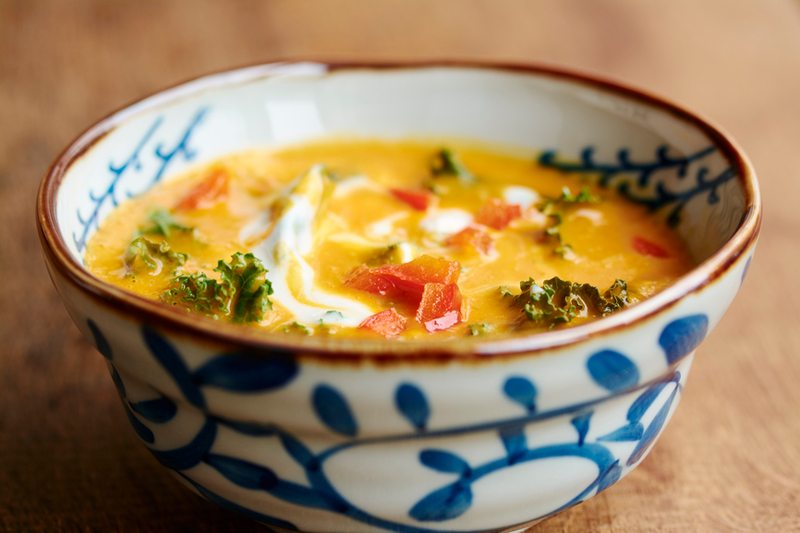 Ladle the soup into 4 serving bowls and enjoy! Leftover stew can be stored in air-tight container and saved for lunch the next day. Valentine’s Day Healthy, Indulgent, Delicious Brownies!